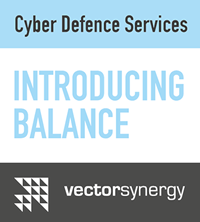 In Vector Synergy, Cyber Defence services are more than just advanced solutions ensuring peace and IT security of an organisation. This is, in the first place, the philosophy of operations, which leads to joint development of the most effective system ensuring cyber security of Client’s organisation. Vector Synergy configures and delivers optimum and best matched solutions, ensuring this way the highest – world-class level of Clients’ IT security. Vector Synergy constantly seeks the right solutions. Entrusting us with the responsibility for detecting and responding to network incidents, Clients get confidence that their data shall remain confidential, integral and available. Multi-level security that we deliver, provides peace and IT balance and ensures the expected safety. Cyber Defence services of Vector Synergy are addressed to organisations, businesses and companies aware of the value of know-how and importance of their mission. Jeopardy is represented both by distribution and outflow of confidential information, but also discontinuity of access to services. Services of Vector Synergy are so wide that they are addressed to all organisations, businesses and people using computers, electronic mail, Internet. To all who want to take care professionally of both business and personal data. The real assessment of IT security status is presented by Penetration Tests, which are a perfect tool diagnosing security measures existing in an organisation. Penetration Tests are based on running a simulation of a real attack on network systems operating in a given network, on applications and people (external and internal) without the knowledge of the Client’s internal IT structure. They are applied to detect security gaps in a company’s network. They facilitate assessing susceptibility and resistance to attacks and indicating how far a real attacker could go in case of a real attack on a computer network. The diagnosis made with the use of Penetration Tests facilitates developing awareness of dangers as well as fast and measurable identification of priorities in respect of security related actions. black box – a pen-tester only receives the name of a company, the data of which needed for tests should first be identified. Simulation of a real computer attack on network systems operating in Client’s computer network. meeting the requirements of legal regulations or regulations arising from other obligations of an organisation. Simulation of a real computer attack on applications operating in Client’s computer network. checking the Client’s staff members’ resistance and reactions to applied social engineering techniques in order to extract any confidential information about the organisation, it’s systems, it’s infrastructure, it’s employees, or it’s customers. assessing the viability of policies, procedures, and training provided to the Client’s personnel. Detecting the amount of information and type of data on a company/person, which is publicly available. assessing the difficulty level of a social engineering attack. A frequent impulse for starting actions connected with ensuring IT security in an organisation is a specific computer crime suffered by a company. In such situation, it is important to respond to an attack on time and to draw appropriate conclusions. The tasks of investigation IT include delivering digital evidence of committed IT crimes or computer abuse. For that purpose, search is conducted in line with prevailing legal regulations and evidence of crime is sought within computer systems, with the use of specialist software and hardware tools. delivering digital evidence of committed IT crimes or computer abuse. evidence that cannot be acquired with the use of system’s investigation IT may be supplemented with network’s investigation IT. delivering lost data or parts of the data in a form as close to the original as possible. saving time needed to reproduce data (sometimes this can be counted in years). Many years’ experience, unique competence and perfect technical preparation form the basis, thanks to which we can precisely diagnose discrepancies between the existing Client’s IT security system and world prevailing standards in this respect. Based on the analysis of existing network-service-system infrastructure from the perspective of security of information and data flow between systems, we develop and implement optimum concepts in respect of securing Client’s IT infrastructure and data according to a model “End-to-End Security”. We can develop modern and effective cyber security environment, based on proven and optimum solutions. analysis of gaps in respect of cyber security as well as identification of specific scope of repair work to be implemented with a view to increasing IT security level. 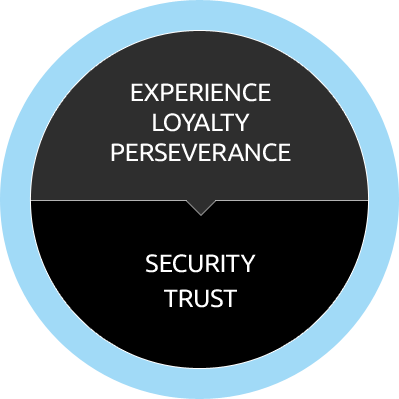 delivering to a Client a consistent and complimentary security concept. development of a scope of work and auxiliary technologies to be implemented with a view to increasing IT security level. delivering technologies which would not only protect data, infrastructure and users but would also provide information necessary to identify reasons for data losses / security breaches in case of a loss of data (intentional or unintentional). certainty that in case of an attack or data loss (intentional or unintentional), it will be possible to track the method of a breach / theft and to identify what data has been lost/modified/copied and what has happened with that data. it provides the best protection through monitoring of system operation and services available 24h a day. CDeX (Cyber Defence eXercise Platform) i.e. cyber training range, is a unique training system which helps increasing practical skills of specialists responsible for the security of tele-IT infrastructure in respect of detecting and responding to cyber-attacks. The training takes place in real time. The training involves a Blue Team (a defensive team) and a Red Team (an offensive team).